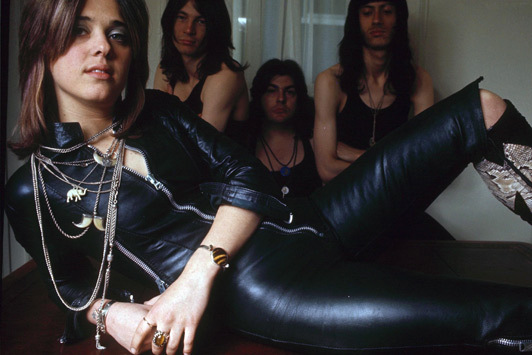 Best known in America as Leather Tuscadero on the show Happy Days, Suzi Quatro had already established herself as a tough, back to basics rock and roller in the UK with numerous #1 records. Virtually ignored as a singer in her native land—she originally hails from Detroit—she recorded a string of hits upon moving to England in 1971. She maintained her success there and all over the world throughout the rest of the decade, culminating in her biggest US hit, “Stumblin’ In” in 1978. Of course. Clear as an unmuddied lake, sir. 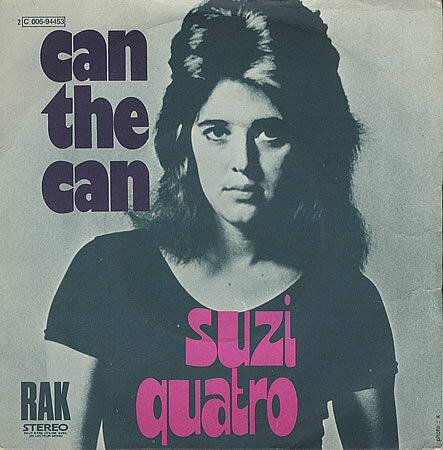 Can, man, another can. What’s not to get? So crank up the volume, kiddies. Cuz Suzi came to rock.